And there it is. Marsala. Very different from last year’s Radiant Orchid. Marsala is deep, moody, and rich. It doesn’t have to be relegated to an accent color or a highlight. 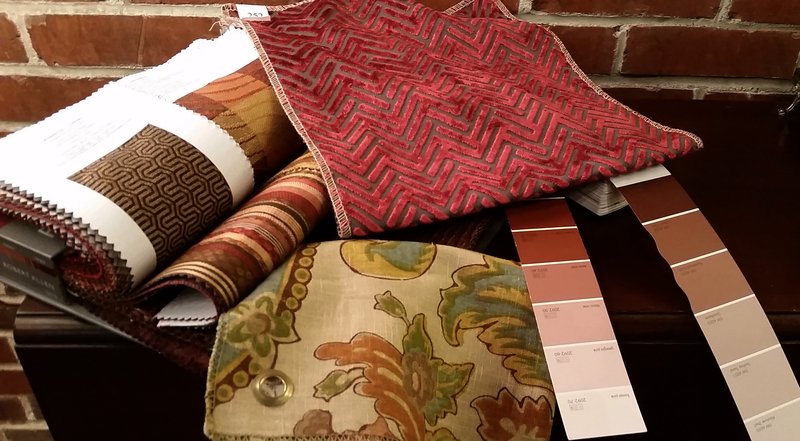 Instead Marsala could be a bold sofa, a rich window treatment, or a warm, heady gentleman’s study. I’ve put together some color swatches to show the range of the color. I want to get your minds going. Check out some of the samples I’ve put together below for inspiration! All through the color range of Marsala, the pink in this brown is evident. It just so happened to match the brick wall in our office perfectly. Ten years ago or so, this color would’ve been paired with heavy browns and golds. However, I think this rich pink-brown looks stunning with greens, teals, and blues. Notice in this sample the gold is tied in, because of course it does look great. But all gold and brown would turn the Marsala muddy and lost. 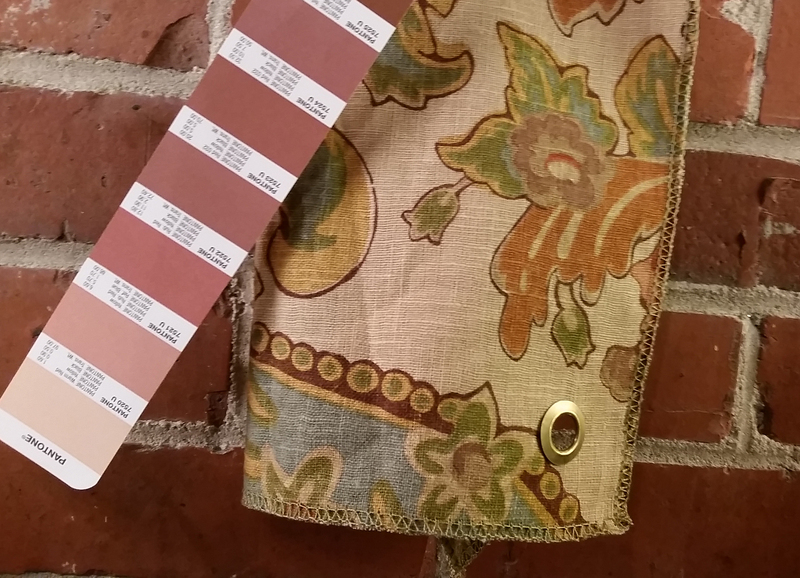 This fabric is actually going on several pillows for a client’s large dark brown leather sofa. The two swatches in the book on the left just seem muddy to me. Yes gold and brown look great with the deep red in this color, but they’re all too similar in richness and thus feel heavy. This final picture is my favorite. I love that velvet-y maroon fabric replete with texture, pattern and depth. Given that it can be tough to find Pantone paint colors, you could try these two: Sherwin Williams Reddened Earth SW6053 or Benjamin Moore Texas Rose 2092-40. They’re close and can give the same feel. 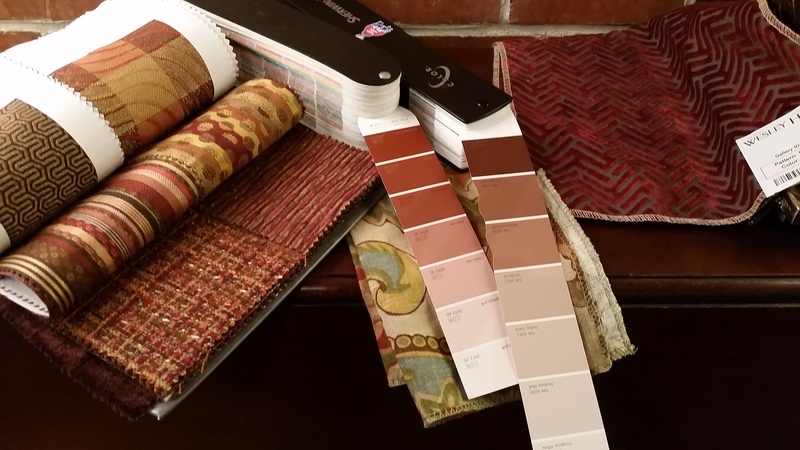 All of these fabrics and colors are from my vendors and I would love to help you incorporate them into your space. I’m sure Pantone is waiting on bated breath for my approval. So, yes Pantone, well done. Hopefully y’all can incorporate some Marsala into your lives. Posted 5 years ago by younginergroup. Back in Brass…and Gold too.